Remember the days when everyone had been travelling, went to India and came home inspired to create an ethnic look in their house? 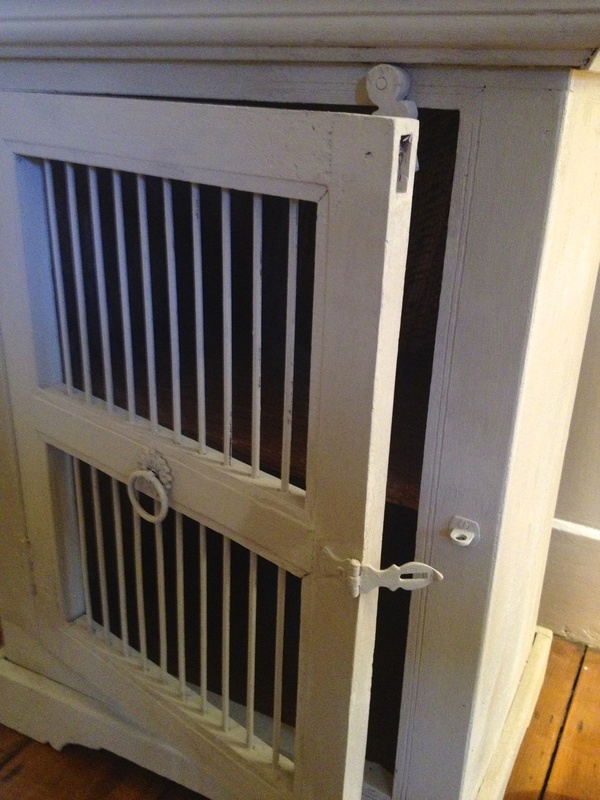 This cupboard was the result of my travels in early years, and has been with me for ages. 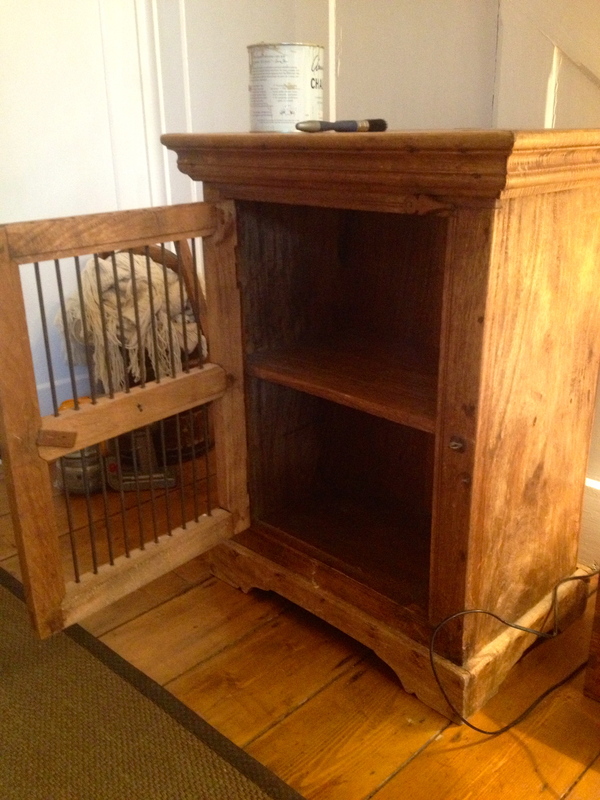 However, it is really heavy, very dark, has ring marks on the top and did not fit in any more with the rest of the house, but it is a useful little item and so I thought I would give it a revamp so it sat better in the house. This project was incredibly quick, took a couple of hours one afternoon and the cabinet has been transformed. 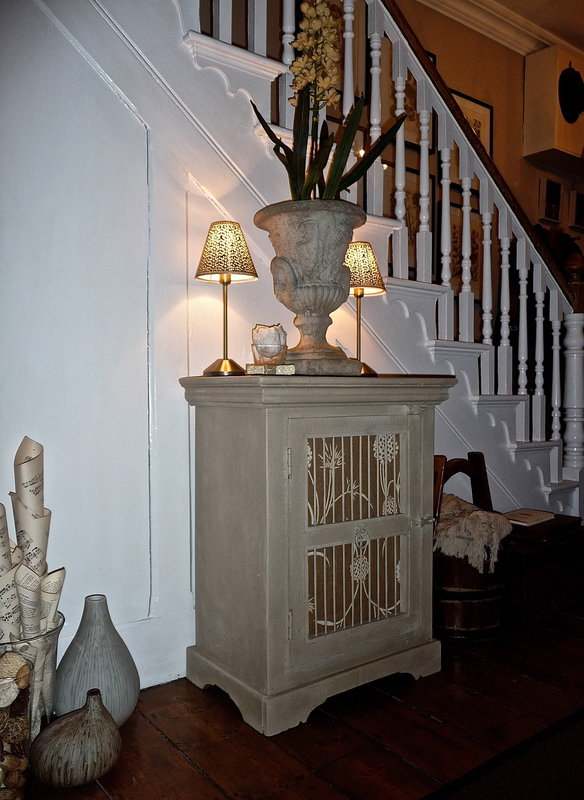 First I slapped on some chalk paint, Annie Sloan’s Country Grey which is great neutral shade, all over the cabinet and on the inside of the door. 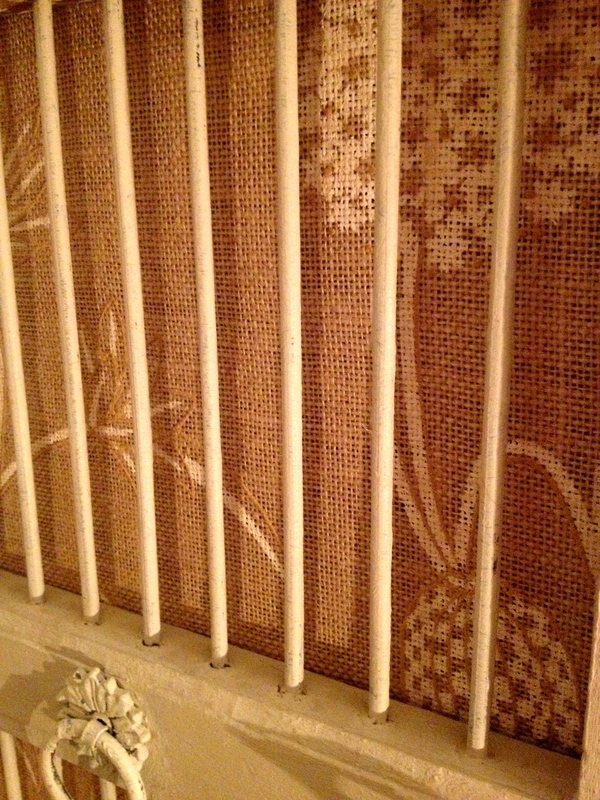 I even painted the iron bars and the handle and catches. Then I waxed the cupboard with clear wax and buffed it up to a nice sheen. 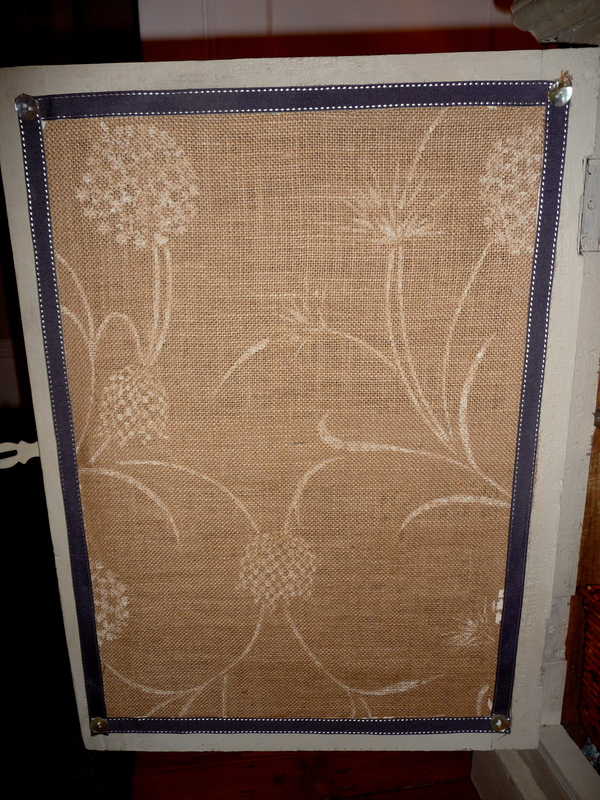 The bars still looked a bit odd and very Jali, so I found some fabric I had lying around, which is a hessian printed with alliums. I cut a piece slightly larger than the opening in the door, ironed the hems back flat and neat and attached it with my staple gun. To hide the staples I stuck on some ribbon, and then covered the corner joins with some buttons. 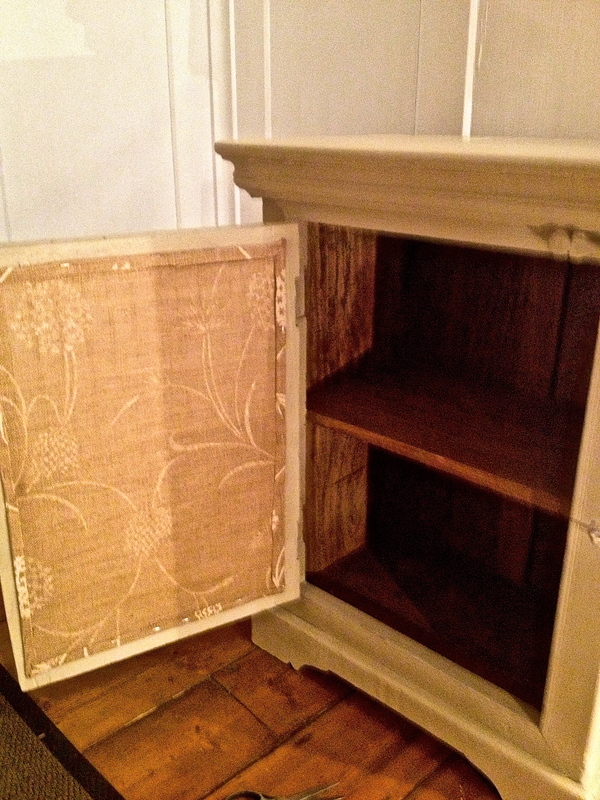 The finished cupboard looks lovely, and tricked my husband into thinking it was a new piece for a while. Job done!